The Paxmans' lives have not always been a bed of roses and growing old gracefully is a daily task. The children have grown. Friends have died. A few years ago, their beloved daughter Mary, who suffered from bipolar disorder, took her own life. But in all, their lives together have been filled with joy. The Paxmans will celebrate with an open house today, December 15, 2012, from 5:30 to 8:30 p.m. at their home, 135 E. 200 North in Provo. 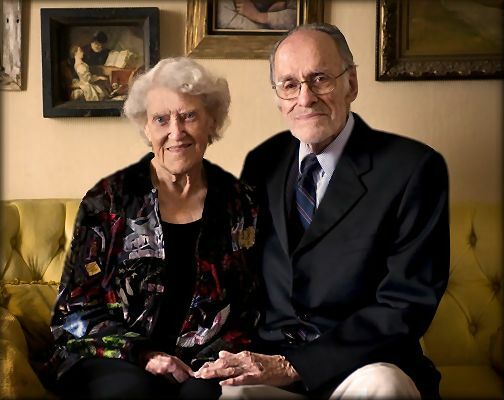 Monroe and Shirley Paxman, both 88 in 2007, attend six to eight events on campus each week. They remain physically and mentally active both on and off BYU campus. Monroe and Shirley Paxman walk to BYU's campus multiple times a week from downtown Provo to attend the activities at the Kennedy Center, the library and Harris Fine Arts Center, just to learn and be around the students. As members of a long family line of BYU graduates themselves, the Paxman's have quite a heritage with the BYU community. For many students, the Paxman's have become familiar faces as they attend six to eight events on campus each week. The walk from 200 North may not be a big deal to the average campus visitor, but the Paxman's are 88 years old. "[Coming to campus] keeps us healthy - physically and mentally and spiritually," said Monroe Paxman, a Provo native and BYU graduate. 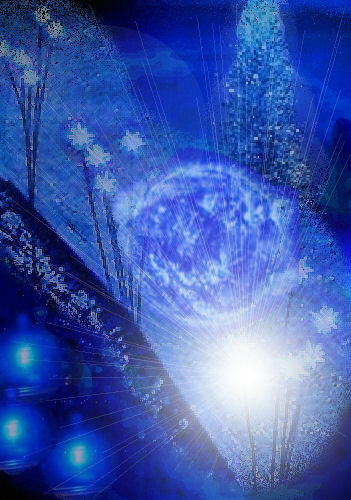 Spiritually, the Paxman's said it is the environment that lifts them. The walking is good for them physically, but they feel the students give them what they need mentally. "You see all those young people and get inspired," said Shirley Paxman, who started school in first grade at Brigham Young Academy and continued through to her master's at BYU. Physically, the Paxman's stay strong from their many trips to BYU events. Along with on-campus activities, this couple even hiked to Y Mountain one year ago. "I asked Shirley what she wanted for Mother's Day and she said she wanted to hike the Y, so we did," Monroe Paxman said. "It's a great place to be." On campus, the Paxman's continue to sharpen their minds as well. At the age of 85, Monroe Paxman began watercolor classes and has become quite the artist, Shirley Paxman said. The Paxman's have been involved with much of the progress of Provo and the BYU community. Monroe Paxman was a member of the high council of the first BYU stake. As a retired judge, he also taught international law on campus. Shirley Paxman has been influential in preserving Provo and the old Brigham Young Academy to what is now known as the Provo City Library. She spent 25 years saving the historic building by dedicating her time petitioning the city. "Shirley was the little old lady that stood in front to keep the city from tearing the building down," Monroe Paxman said. The Paxman's encourage all students to continue to learn and be actively involved. Many couples their age are no longer sharp because they watch too much TV, they said. "I'd have to quote Theodore Roosevelt who said the happiest people are those who touch life in its greatest number of points." Shirley Paxman said. "We try to touch life in a lot of dimensions." One of the dimensions that the Paxman's touch is a scholarship fund set up with Shirley's family to assist young South African LDS women attend college. This year they have 71 students attending school. "We're educating a lot of wonderful women," Shirley Paxman said. "I have wonderful pictures and we keep in touch with them." The Paxman's don't just affect students; professors also recognize their familiar presence. Dean Hughes, a creative writing professor in the English Department, said he first got to know the Paxman's because of a doll museum they had in their home with over 4,000 dolls. Even after they closed the museum, Hughes said he sees them everywhere. "They know everybody and everybody knows them," Hughes said. "[They go to] anything they know they'll enjoy, and they enjoy everything." Last year during the English Reading Series, Hughes said students and guests were invited to share their bad poetry and Monroe Paxman even got up and told his own. "I've never heard them say they were sorry for coming [to an event]," Hughes said. "They are interested in everything." The Paxman's said that they would go to anything on campus; they just enjoy learning and feel blessed to be able to do so. "I go [to campus] because of the rewarding experience of learning things and hearing other peoples' ideas," Monroe Paxman said. "It's very much enjoyable. It's pure joy." Although Monroe and Shirley Paxman did not attend BY High School, many of their children did. They did not teach at BYH, except by good example. They performed an instrumental role in saving the Brigham Young Academy building. "We grieved about it [the Brigham Young Academy block] being sold. I wrote lots of letters," remembers Shirley. "And when the lawn and trees were dying, my husband, Monroe, repaired the sprinkling system and we paid the water bill. For 25 years I've worked with every mayor and developer." 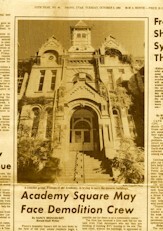 Their leadership and perseverance have once again made the historic Academy Square a revered Provo landmark. Shirley Brockbank Paxman received her B.S. and M.S. from BYU in Child Development and Family Relations. She received her R.N. from Holy Cross Hospital in Salt Lake City, Utah. She taught Child Development at BYU and Nursing at Utah Valley State College, until 1979, when she left to help open the McCurdy Historical Doll Museum. The Paxmans are lifelong Provo residents. Monroe Paxman was a judge in 4th District Juvenile Court. He is a nationally prominent authority on juvenile court problems. He has taught many classes at BYU. He received BYU's Abraham O. Smoot Public Service Award. "When I recognize someone, I have to think twice about saying anything," he once said. "The context may be from my former courtroom, and some folks don't want to recognized for that." Monroe and Shirley Paxman have co-authored numerous magazine articles and several books. In 1942, Shirley married Monroe J. Paxman, who became a Juvenile Court Judge in Provo, Utah. They have seven children and twenty-four grandchildren. Shirley Paxman is an active member of the LDS Church and has served in all the Church auxiliary programs as teacher and officer. She served as a member of the Provo School Board for eight years and as Vice-President of the Brigham Young Academy Foundation for 20 years. She describes herself as a feminist and activist for just causes. Provo Mayor Lewis K. Billings commended Monroe and Shirley Paxman for their efforts in preserving Provo City and its historic central area. Monroe and Shirley Paxman, Homespun: Domestic Arts & Crafts of Mormon Pioneers, Deseret Book, 1976. To Bed to Bed the Doctor Said, by Shirley Paxman and Monroe Paxman. Family Night Fun, by Shirley and Monroe Paxman. Where Nothing is Long Ago: Memories of Virginia Sorensen Waugh, 1995, by Shirley Paxman. Party Patterns With Gaiety Guaranteed: A Book of Complete Party Plans for Adults and Teens, by Shirley and Monroe Paxman, Publisher: Salt Lake City, UT Deseret Book Company, 1961. 1) John Monroe PAXMAN [BYH Class of 1962] was born in 1943. 3) David Brockbank PAXMAN was born in 1946. 4) Nancy PAXMAN [BYH Class of 1966~H] was born in 1948. 6) Mary Ruth PAXMAN was born in 1954. 7) Susan Kay PAXMAN was born in 1956. We greatly enjoyed all of the student activities while our children were at BYH: assemblies, dances, school elections, students visiting our home, with their lively enthusiasm and good humor. We admired and appreciated the faculty and their good influences on our children: Fae Buttle's challenging students to do their best; Anna Boss Hart's gentle acceptance; Fred Webb's wonderful choirs; Max Golightly's dynamic dramas; Frank Arnold's winning strut, and losing anger; Jed Gibson's encouragement and expertise; Alex Darais' quiet art creativity. Since we lived nearby, many students dropped by for a cookie or sandwich -- Mary Ellen Hales, Kent Bunker, Ruth Halladay, Newt Andrus, Alec Andrus, and of course, Marion Bentley, who married our daughter Carolyn -- parents of four of our 32 grandchildren. BYH was a major source of fun, entertainment, and yes, stress as our children faced frustrations, tests, rejections, elections, tryouts and grades. Often at public events BYH grads approach us and recall the good old days. We thank all BYH'ers for the good memories. Monroe and Shirley Paxman are celebrating their 70th wedding anniversary - yes, 70th - this weekend. Their children John, Carolyn, David, Nancy, Annette, Mary (deceased) and Susie are hosting an open house for them on Saturday, December 15th at the old homestead at 135 East 200 North in Provo from 5:30 to 8:00 p.m. Many of you spent time in that house and it is still standing, as are our parents, thank the Lord. We would love to see you there with us to honor these remarkable people who [are the parents of] seven mostly normal children, and who still actively sponsor and attend concerts and lectures and events at BYU and UVU. As you may guess, at 93, most of their contemporaries are gone, but they have many young friends (yes, you are some of those "young" ones) and they would be delighted to see you for a few minutes. Consider this your invitation. There will be refreshments and some lively catching up. Hope to see many of you there. Drop by. Shirley Ann Brockbank was the third child born to Isaac and Elsie Booth Brockbank. She debuted on December 10, 1919. She grew up with her eight sisters at 59 West 500 North in Provo, Utah. 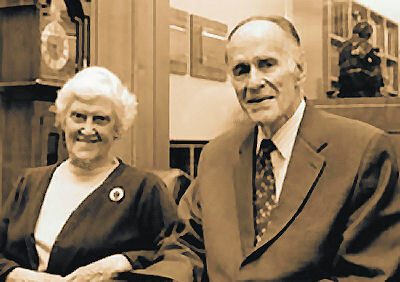 She married Monroe J. Paxman on December 18, 1942 in the Salt Lake LDS Temple. They have lived in Wichita, Kansas; Salt Lake City; Reno, Nevada; Urbana, Illinois; Freiburg im Breisgau, Germany; Izmir, Turkey; Frankfurt, Germany; and Provo, where they spent most of their life together. Shirley was a registered nurse, an avid reader, a community organizer, a school board president, a traveler, a museum director, and she lived exuberantly. 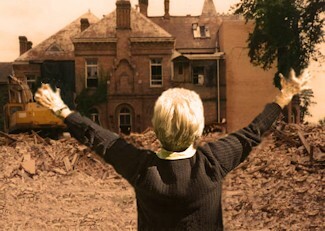 She once stood in front of a moving bulldozer to block it from demolishing Provo's Academy Square because she knew funding was on its way to save the building. Born with an abundance of energy and creative ideas, she always had a project or a cause. She enjoyed hosting gatherings and parties, creating magical experiences, writing books, working in historic preservation, giving speeches, and sharing her opinions. She was unconventional and ready to speak out, a strong, enthusiastic feminist, a mentor, and an advocate for the underprivileged. She trained at Holy Cross Hospital in Salt Lake City before her marriage and grew to love the Catholic sisters and the rosary. Her religious involvement was ecumenical. She served well all her life in The Church of Jesus Christ of Latter-day Saints, but sometimes referred to herself as Catholic Mormon and was involved with the Episcopal Church as well. She found God and truth in many places. Through it all, she expressed her love for and faith in the Gospel of Jesus Christ. She drew on traditions from diverse religions and cultures as she and her husband Monroe raised their seven children. She celebrated holidays with gusto, created costumes, baked and decorated thousands of sugar cookies, belonged to various social clubs and historical societies, and included many people in her entertaining. Shirley lived by Gibran's words, "Work is love made visible." Her compassionate heart fueled her personal and civic service. She worked to make things better for people she cared about, whether they were family, immigrants, foreign diplomats, college students, or merely lonely. It was no small thing if Shirley was in your corner; her support was palpable. She and Pax loved to welcome people to their family cabin at Wildwood, let them use the inner tubes, swing on the swings, lie in the hammock, or play in the water, and Shirley cooked abundant meals to feed them. She hosted speakers and musical programs for groups of friends. She and Monroe served on several local and university advisory boards. Shirley frequently laughed at the humor in life and was a good storyteller; she was no stranger to hyperbole and often exaggerated her children's good qualities and accomplishments. She was also a master of typographical errors in her weekly family letters. She and Pax have been generous grandparents who took care of kids with aplomb and enjoyment. Wet feet and dirty hands weren't worth worrying about; craft projects, hammering nails into wood, hiking, and imaginative play were encouraged. A capable woman of many talents, Shirley sewed, knitted, sketched, decorated, and quilted; she refinished furniture and collected antiques as well as Noah's arks, nativities, Santa Clauses, family traditions, ideas, articles, and books. She and Pax hiked for decades and co-authored a Utah Valley hiking guide. Lifelong supporters of the arts, they attended concerts, lectures, and plays regularly. As her short-term memory faded, one of her most common statements was, "We count our blessings." Her next line was always, "I still have my husband!" A few years ago she said, "I have very few regrets. I've had stability, excitement--a fantastic life." We love our mother, grandmother, and great grandmother, and her passion for life will continue to inspire us. Shirley fell and broke two vertebrae three weeks before her death. She died in her sleep on December 17, 2015, a week after her 96th birthday. Preceding Shirley in death were her sisters Ila Peterson, Helen Weech, Elinor Brimhall, Pat Fillmore, Kay Webber, her daughter Mary Beth McGee, and her grandson David Thomas. She is survived by her dream-facilitating husband Monroe "Pax", her sisters Carol Olson, Nancy Livingston, Joyce Beazer, and her children John and Petrina Lee Poy Paxman (Montreal), Carolyn and Marion T. Bentley (Logan), David and Kathryn Pope Hoopes Paxman (Mapleton), Nancy and Peter Thomas (Sun Valley), Annette and Scott Bowen (Seattle), and Susie and David Hatch (Chicago) as well as by numerous grandchildren and great grandchildren. Visitation will be held Monday, December 21 from 6:30 to 8:30 p.m. at Berg Mortuary, 185 East Center Street, Provo, and Tuesday, December 22 from 9:30 to 10:30 a.m. at Provo Peak Third Ward, 510 East 200 North, Provo. The funeral will begin Tuesday at 11 a.m. at the same church. In lieu of flowers, please donate to the Monroe and Shirley Paxman Humanitarian Scholarship, or the Mary Paxman McGee Endowed Scholarship at Utah Valley University" https://www.donate.supportuvu.org/paxman or to the Brockbank Education Fund supporting young women in South Africa: http://www.befcharity.org. Born to relish and appreciate life, Monroe J. Paxman arrived on April 7, 1919 to William and Achsa Eggertsen Paxman in Provo, Utah. He was fourth of five siblings. As a child he raised rabbits and learned how to work with his hands. He was a bright, outgoing person who was curious and imaginative. Monroe attended Provo schools and served an LDS mission in England and, due to the onset of World War II, in the North Central States. He was part of a traveling vocal quartet in his mission. After his return, he worked at Culver Aircraft in Wichita, Kansas, to help the war effort. He earned his JD from the University of Utah. Following law school he practiced law with his father-in-law, Isaac Brockbank, and was subsequently appointed Juvenile Court Judge of the Fourth District Court, a position he held for 16 years. In 1969, he was appointed Executive Director of the National Council of Juvenile Court Judges, and the family moved to Reno. In 1972-73, he was a visiting professor at the University of Illinois Law School in Champaign-Urbana and afterward taught at BYU in the political science department until his retirement. He adored teaching and was the recipient of the Abraham O. Smoot Community Service Award. Monroe was also awarded two Fulbright grants to implement innovative judicial services in Europe. 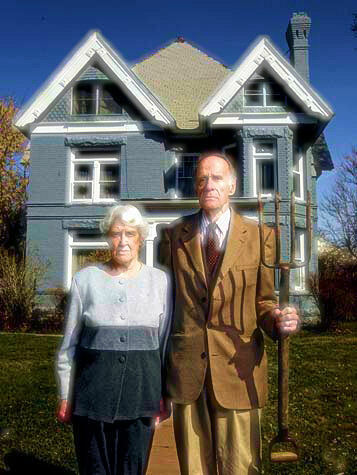 He married Shirley Brockbank Paxman in the Salt Lake Temple in 1942; together they had seven children and created a magical home environment. They nurtured people of all ages as they entertained in their homes. They worked along with other Provoans to preserve the Brigham Young Academy building (which now houses the Provo City Library). Pax had an eye for beauty and enjoyed the arts. He grew flowers, planted trees, learned the crafts of wrought iron, stained glass, and wood carving, and built a cabin with his family. He was a wonderful storyteller. Pax and Shirley attended performances at BYU and UVU for decades and served together on the UVU Humanities Board. They loved to travel and lived in England, Germany, and Turkey, where Monroe taught with the University of Maryland�s extension program. Pax was a lawyer, an electrician, a plumber, a hiker, a singer, and in his eighties he took up genealogy and watercolor painting. He compiled several books of family history. He wrote impromptu tributes at special events and was a master of gratitude and expressed appreciation. His was a life of service, positive effort, love pats, and encouragement. He had deep faith in the gospel of Jesus Christ and its power to improve and enrich lives. Preceding him in death are his wife Shirley, their daughter Mary McGee, and their grandson David Thomas. 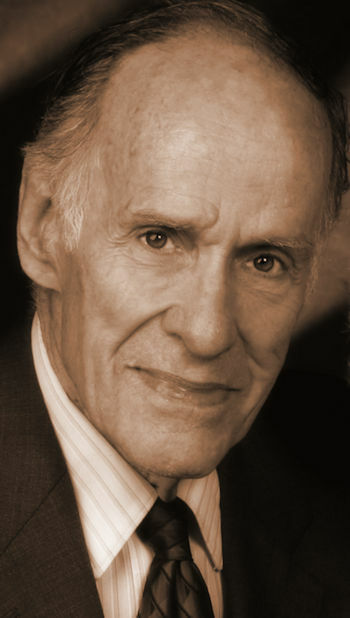 He is survived by his children John and Petrina Lee Poy-Paxman (Montreal), Carolyn and Marion Bentley (Logan), David and Kathryn Pope Hoopes Paxman (Mapleton), Nancy and Peter Thomas (Sun Valley), Annette and Scott Bowen (Seattle) and Susie and David Hatch (Seattle), as well as many grandchildren and great grandchildren. Funeral services were held on Saturday, September 30, 2017 at Academy Square (Provo City Library), 550 N. University Ave., Provo, Utah.